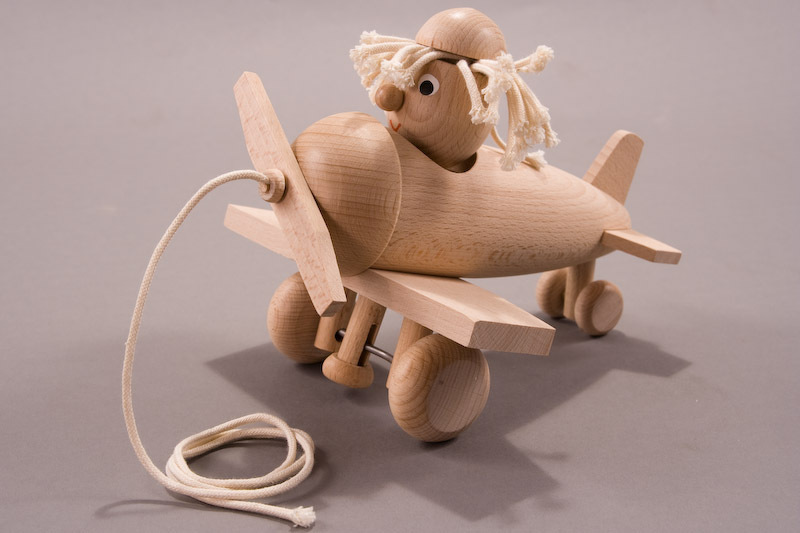 Here at the woodshop, we are passionate about two things: real wooden toys and children. We are proud to have satisfied thousands of customers (young and young at heart) from all over the world. We would love to receive your comments you have regarding our toys, products, service, or our website. Please e-mail us at: customerservice@realwoodentoys.com. We usually ship using FedEx, although we are not limited and may use USPS, as we try to maintain the most economical and quickest delivery means. Whichever method, we are subject to their standards, regulations and delivery limitations. RealWoodenToys.com makes every effort to ship all orders within 24 hours of purchase, Monday through Friday, after verifying payment authenticity. Average delivery time is 3-4 days, and does not include Sundays or Holidays. All orders are shipped with tracking capabilities. Please call (218) 260-8466, Monday-Friday, 9am-4pm (CST). We ask that you please have toy names/item numbers, quantity and ship-to address ready. Please use the PayPal option at checkout. International Orders — Alaska, Hawaii, Puerto Rico, Canada and International orders are subject to additional shipping charges and longer delivery times (Please contact us for this rate surcharge). International customers and customers with International billing addresses have the option to place orders and pay via PayPal. International customers are responsible for any additional taxes, duties and tariffs. RealWoodenToys.com is not responsible for any fees charged by customs. Please contact your local customs department for any questions regarding additional fees before placing your order on RealWoodenToys.com. Tax is applicable to Minnesota residents only. All of our toys have a 100% money back guarantee. If for any reason you are not completely delighted with our toys, products or service, we will replace your order, refund your money, or do whatever it takes to make it right. That is our promise. All requests will be processed after our returns department inspects and verifies the condition of the item. Return credits take approximately five to seven business days to process upon receipt of the item. Shipping charges are not refundable and are the responsibility of the customer. Returns must be postmarked within 14 days of receipt. Our toys are well-made and relatively safe. However, we must always-very-highly recommend close adult supervision for all children, especially those under the age of thirteen, while playing with any of our products. Many of our products come with wire springs, pull ropes, balls and/or other small parts/accessories. Other parts of our products can be removed and may be potentially dangerous if played with in any unattended fashion (i.e. throwing, swallowing, etc.). Under no circumstances shall Real Wooden Toys/RealWoodenToys.com be liable for any damages or injury, including any direct, special, incidental, consequential, punitive or other damages, that may result from the use of, or the inability to use, the products (toys) or any materials purchased or given from or originating from Real Wooden Toys/RealWoodenToys.com, whether in an action of contract, negligence or other tortuous action, arising out of or in connection with the information available in the web site. Real Wooden Toys/RealWoodenToys.com shall not be liable even if Real Wooden Toys/RealWoodenToys.com or a Real Wooden Toys/RealWoodenToys.com authorized representative has been advised of the possibility of such damages.